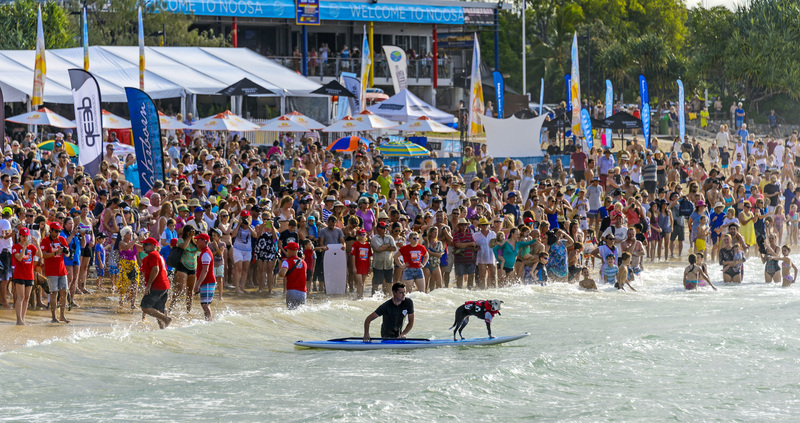 24 paws, 6 dogs, 1 spectacular title and loads of fun. 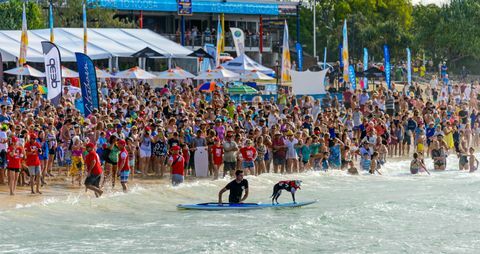 Perhaps one of the most popular competitions, the Dog Spectacular, is what the punters love most. 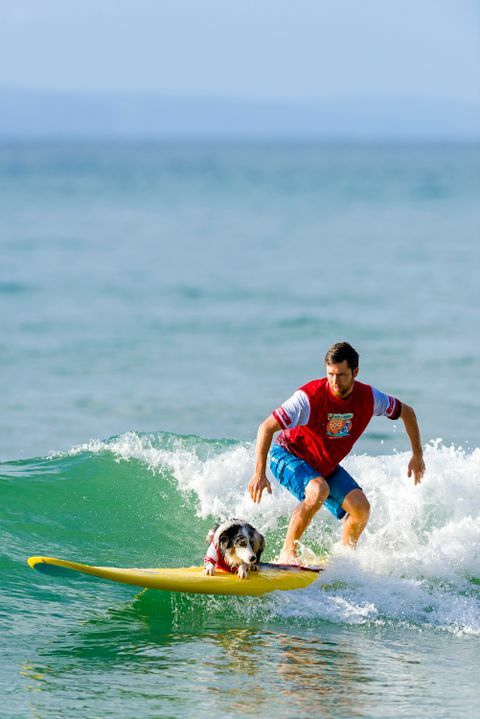 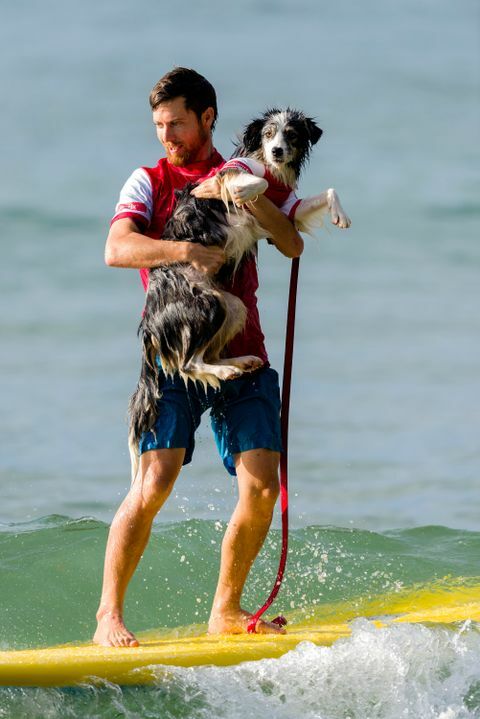 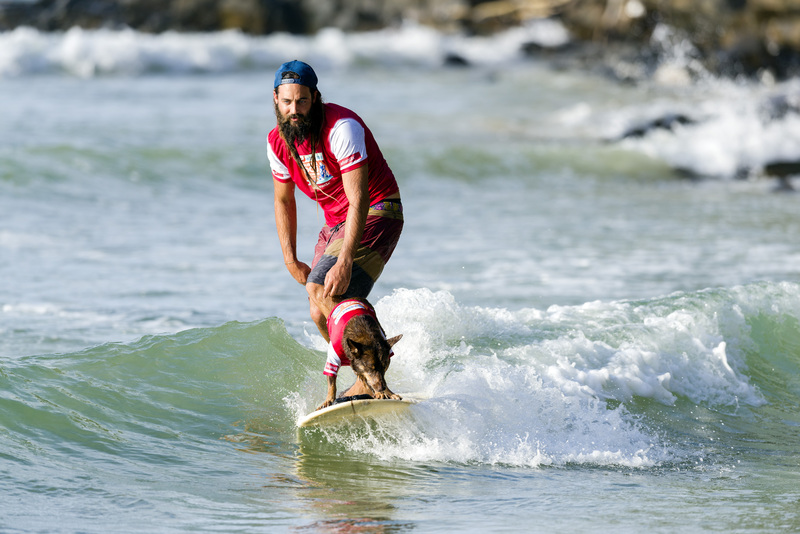 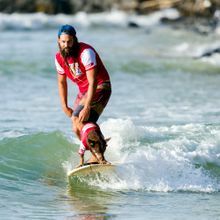 Festival Co-Founder Paul Jarratt said they're the only festival or surfing event in the world where the dogs surf on a stand up with their masters. 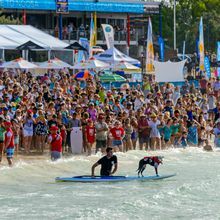 Perhaps one of the most popular competitions, the Dog Spectacular, is what the punters love most. 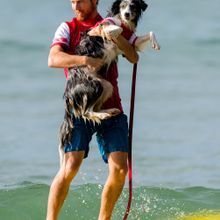 Festival Co-Founder Paul Jarratt said they're the only festival or surfing event in the world where the dogs surf on a stand up with their masters. 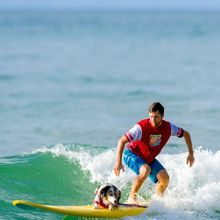 Kerry Pittman, first time dog surfer, was bursting with pride for her four-legged sidekick, Kelvin. 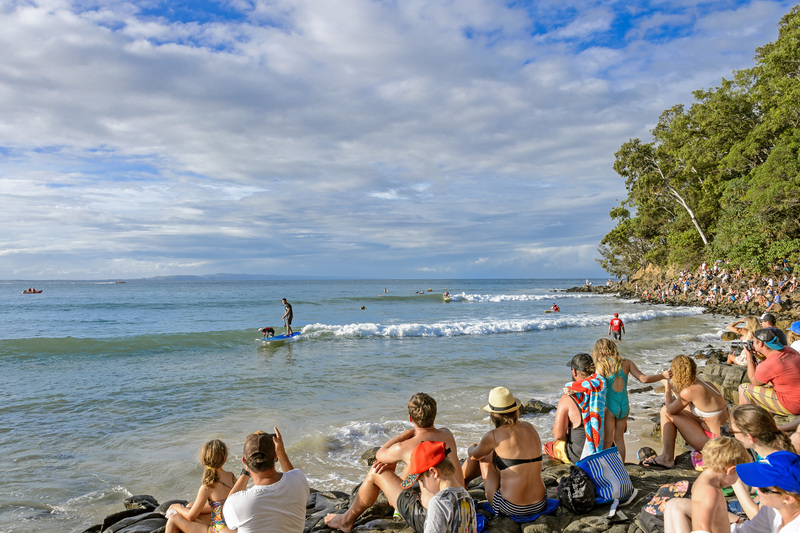 The festival kicks on until March 12th with more than 30 competitions catering for a variety of surfers including longboard, short board, finless, stand up paddle board and more. 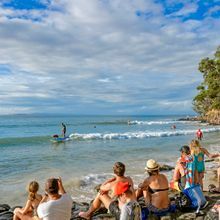 Visit www.noosafestivalofsurfing.com for the full program.